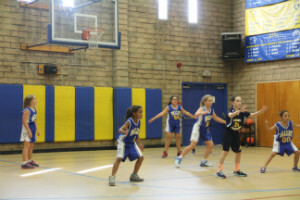 Our Summer Sports Camp was developed by Valley School’s Athletic Director, Mike Bramson. Coach Bramson designed this camp to help players gain valuable skills and conditioning to help take them to the next level of play. Campers also enjoy swim time and special lunch days during the week. Both Volleyball and Basketball Camps are offered to boys and girls ages 8-14. Campers do not need to be Valley School students to attend. Certificates are given at the completion of each camp. Please see the below descriptions of each camp, along with summer 2019 dates and rates. Athletes will be challenged to take their basketball game to the next level through drills, contests, and fitness workouts. This camp is suitable for all skill levels. All campers will receive a free camp shirt. Awards will be handed out for 3 point shootout, free throws, speed dribbling, and spot shooting. Camp hours are from 9:00 a.m. to 3:30 p.m. Extended daycare from 6:30 a.m. to 6:30 p.m. is included in the camp fee. This camp is a must for all volleyball enthusiasts. Improving one’s serving, setting, and spiking techniques as well as defense. The camp will include physical conditioning, practice, competitions, and games. All campers will receive a free camp shirt. Awards will be handed out for competitions. Camp hours are from 9:00a.m. to 3:30 p.m. Extended daycare from 6:30 a.m. to 6:30 p.m. is included in the camp fee.